For the American statute passed in the same year, see Act Prohibiting Importation of Slaves. Amazing Grace (2006), a film that portrays the campaign to pass the Act. ^ a b "Slave Trade Abolition Bill". Hansard. 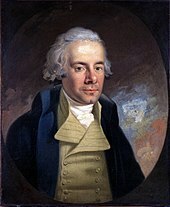 10 February 1807. ^ "Mar 2, 1807: Congress abolishes the African slave trade", This Day in History. ^ a b Meredith, Martin (2014). The Fortunes of Africa. New York: PublicAffairs. pp. 191–194. ISBN 9781610396356. ^ Cox, Jeffrey (2008). The British Missionary Enterprise Since 1700. London: Routledge. p. 90. ISBN 9780415090049. 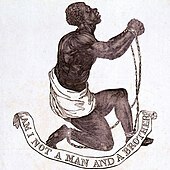 ^ "The 1807 Act and its effects", The Abolition Project. ^ "Parliament abolishes the slave trade", Parliament and the British Slave Trade. ^ a b Lovejoy, Paul E. (2000). Transformations in Slavery: A History of Slavery in Africa (2nd ed.). New York: Cambridge University Press. p. 290. ISBN 0521780128. ^ Rawley, J. A. (2005). The Transatlantic Slave Trade: A History. University of Nebraska Pres. p. 169. ^ "1807 Abolition of Slavery Act", Spartacus Educational. ^ Jo Loosemore, "Sailing against slavery", BBC – Devon, 24 September 2014.